The Fiat 500 is becoming more and more popular – probably because it’s so great to drive and manages to make others stare.The streamlined, sleek appearance is what attracts the ladies to this car, and it has no sharp edges that you can see, giving it a “cute” look. You have an amazing 15 options for the interior, 9 varieties of wheel, and 12 body colours to choose from; so you know you’ll get exactly what you want with one of these cars. The safety in this car is top notch too, with a total of 7 airbags. A used Fiat 500 will even look great on your drive! Yet another variation of the classic Mini, this car offers the driver more space and even more practicality than other models. Passengers can enjoy more legroom in the back seat, and the pillarless door system makes it a breeze to get in and out of. The boot is huge too, great for when you fancy a blow out shopping trip. All while still looking cool and chic! This car looks great with it’s sleek lines and gorgeous styling, plus it’s one of the most cost effective drop tops out there! There’s a variety of engine choices so you can pick exactly what you want; whether that’s based on power or efficiency. The boot space is great, however, this is definitely a car for two people as any passengers would be squashed up in the back. A Volvo is possibly one of the safest vehicles money can buy, perfect for the woman who puts safety ahead of style – although this understated design still looks great! The Volvo caters for every need you could possibly have, and it doesn’t brag about it either. The great design, range of features, and smooth drive is what draws women to this fantastic car. This car is all about luxury, comfort, and performance. If that sounds like heaven to you, not to mention the four-wheeled drive dominance in a more compact model, then the BMW X1 is for you! 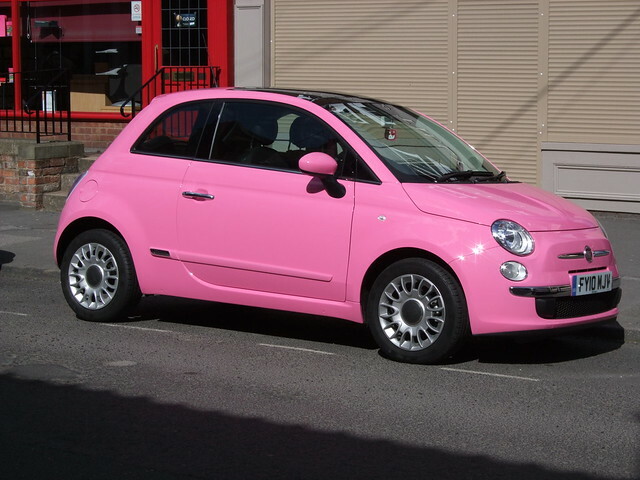 Even the girliest of drivers would enjoy driving this car, and with so many options available when it comes to engine size, colour, etc, you know you’re getting the perfect car for you! All of the cars listed here are stylish, practical, and comfortable, with enough boot space to fit in hundreds of pounds worth of clothes and pretty things. You can’t go wrong choosing one of these models as your next car (maybe even if you’re a man after all)!